Who should come? 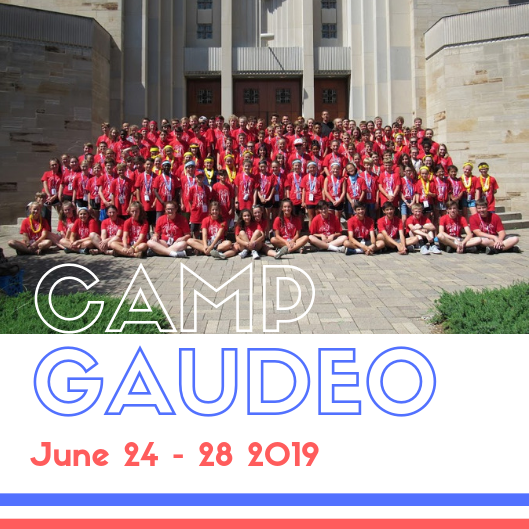 Anyone currently in grades 5-8, regardless of school, parish, or religious background! REGISTER TODAY WITH THIS LINK! O Mary, conceived without sin, pray for us who have recourse to you. You are all fair, O Virgin Mary; you never knew the stain of sin; You are the glory of Jerusalem, you are the joy of Israel. You are the great honor of our people, you are the advocate of sinners. O Mary, Virgin most prudent, O Mary, Mother most merciful, pray for us, Intercede for us with our Lord, Jesus Christ. Amen.